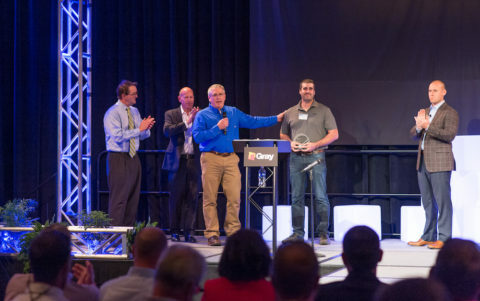 On October 7, 2016, Jason O’Hara was recognized as “Subcontractor Employee of The Year” by the Gray Construction Company at their annual meeting in Lexington, KY. Jason’s commitment to Safety, Teamwork and Quality caught the attention of Gray Management as he was the only individual this $1.3B company recognized among all of their subcontractor’s employees nationwide! A very impressive statistic! Goyette is currently working for Gray at The Clemens Food Group Pork Processing Facility in Coldwater, MI. Jason’s responsibilities on this multi-million dollar Design Build project include manpower oversight, multi trade coordination, adherence to safety regulations, quality control, etc. Jason has plumbers, pipefitters, welders and sub-trades he interacts with daily. Way to go Jason! This is an award you and the entire company can be proud of. Thanks for your hard work and dedication to your craft! 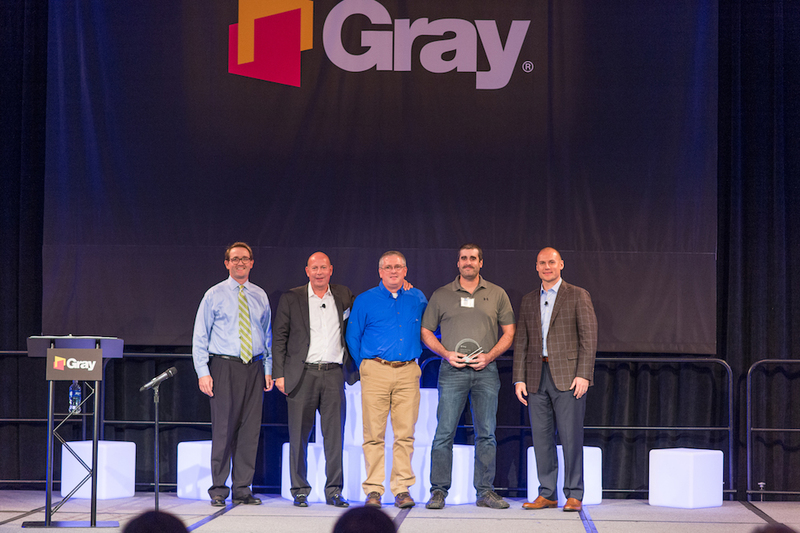 Presenting the award for Gray from left to right are Stephen Gray, Phil Seale, Jeff Scott, our own Jason O’Hara, and Brian Jones.